At the end of each class I gauge what students have learned by asking what I would call a takeaway question. From time to time I would post my daily takeaways especially if the day was particularly eventful or challenging. 1-Family isn’t restricted to similar DNA. Your relatives can be people you RELATE to. 2-Do not harbor bitterness over hurts; be they perceived or real. 3-We are not in kindergarten. Not everyone has to like you. 4-Master a good poker face because people will need to know you won’t reach for the holy water before reaching over to hug them. 5-Be a person of your word. A sign of weakness is a double-minded person. 6-Be kind to children. They are the best teachers in the world. 7-The term “God knows my heart” is a cop out for wanting to stay in spiritual mediocrity. Know better. Do better. 8-Stop talking Christianese. The few unsaved people you still got on your timeline speak the language you used to speak. Stop frontin’. 9-Don’t throw shade on another person’s hustle. Celebrate their success and get your own. 10-Just because it’s not on Facebook doesn’t mean it didn’t happen. Respect people’s privacy when they opt not to share. 11-Not everybody will share your same convictions. Christ said they hate me so they will hate you. 13-Make memories. One day that’s all you will have. 14-Don’t minimize yourself to make someone else feel better about them self. If you’re smart, you’re smart. If you’re pretty, you’re pretty. 15-Take care of your parents even when they are jumping on your last nerve. You want to live a long life right? 16-Share more of the real you. People will come to appreciate your transparency while others will run the other way. Either way you would have yielded the right results. 17-It’s okay to say you don’t know or you need help. People are more apt to help the helpless than a know-it-all. 18-Pay your tithes. If you’re worried about how the church is handling the money, get your accountant degree and come to their rescue. 19-Read more and write more. Your brain will thank you for it and the self-declared Facebook grammarians will too. 20-I stole this from Shakespeare (real gangsta writer): Love all, trust few, do wrong to none. Death to New Year’s Resolutions! I’m going to be honest and say I think New Years resolutions are the work of the devil and his minions. There is nothing more sadistic than setting up unrealistic goals and falling flat on your face by week two into January. Shame creeps in and you end up being worse off than when you started. Death to New Years resolutions and the ones who make us feel we are less of a person for not making or keeping them! 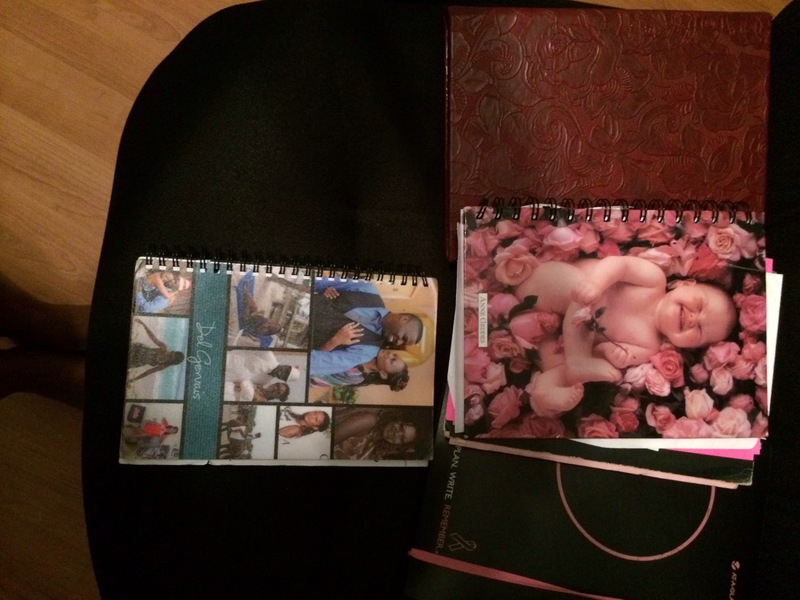 A friend recently complimented me for being the most organized person she knows and that for 2014 she wants to start getting her life in order. For me it has been trial and error, researching what works best for me, looking to mentors and leaders to figure some things out. Most of it is observing how people live. I have never been above learning from peers be they younger or older. We can learn from anybody. My organization streak is part my daddy’s upbringing and part me seeking out positive examples of how I want to live. Instead of setting up resolutions that you may not see through, invest in some tools that will make life manageable, productive, and doable. Here are a few to start with. Yeah, I know that sounds simple enough but you would be surprised how many people are still walking around with scratch paper jotting down notes haphazardly. A planner is not to be confused with a calendar. The wall calendar does not afford you the space to jot down what all you need to do. Those little dollar store calendars with the cute cats on the cover won’t work either. You need to be able to write in appointment times, write in overall events/activities in adequate space. A planner gives an overall picture of what you’re doing with your time and helps alleviate the stress of over commitment to people, places, and things. I already know where I’m going to be January 18th and I’m working towards preparing for that day already. I’m big into stationary. One year I ordered a notepad that had nothing but pictures of myself (and a few of the hubster) on the cover. It was my dreams and goals notepad. Nothing work related went into it. It was my notebook of things I wanted to do and things I wanted to put on pause for later review. You can write your notes to God in that pad. Your note pad doesn’t have to be all fancy, but dedicate a journal of sorts that is just for you. It’s less about selfishness and more about self-centeredness. I was in line buying a gift the other day and my girlfriend took my phone and looked up Retail Me Not to see if I could get additional money taken off the cost of the item. It’s habit for her to utilize tools to get things cheaper. I’m promising to do better with remembering birthdays so I’m on the hunt for a birthday app to help with that. Need daily encouragements? There’s an app for that. Need to know what foods your toddler should be eating. There’s an app for that. Want to journal electronically, trust me there are tons of apps for that too. Try them out and see what works for you. From planning the family meals a week ahead, grocery lists and all to managing bi-coastal conference calls, you will be a better person for equipping yourself with some great apps. They actually do make life a bit easier. I wrote a blog about developing a vision board back in January and recently re-blogged it. Without going into details, it’s the adult version of arts and crafts. The twist is that it’s really about where you want to see yourself in future years. There isn’t a time stamp for each thing you list but it is a constant reminder of your prayers, visions, and dreams. Whenever I get caught up in burning my candle at both ends, I look at my vision board. If I find myself spinning my wheels and still moving no where, I take a look at my board as a reminder of what I said I wanted to do and what I need to be doing. There’s some things on there that I need to get back to and the vision board is that reminder. I hear people say tomorrow isn’t promised and it’s a waste of time to plan. After all, God, our Creator has the final say. They are absolutely right. He does have the final say. But God didn’t breathe his breath into man kind and cause man to sleep while he performed surgery just to create mindless people without direction. Just as surely as I should not worry about what tomorrow holds is as surely as I know that my faith without working it out is dead. He’s curious to know our heart’s desires. He welcomes the conversations of dreams we hold so deeply guarded in our hearts and he wants only the best for his children. So head into 2014, with hearts prepared for a new year. You are here to live the one life God gave you. Not the one your sister, friend, church member is living–but YOUR life. The ultimate guide, God’s Word, will map the way. It has all the resolutions you will need. Staring at my vision board every day and I just know its time to revisit and revise. This is a blog repost from 2012. I’m gearing up to do my third one! I gained my state clinical license and got a promotion when I hunkered down and put my dreams on a canvas board. Staring at that board daily served as a constant reminder of where I was and where I wanted to go. Are there still dreams still yet to be realized? Yep. Are there still some things I need to do? For sure! It’s just the beginning. My husband had given the benediction and I was being the good pastor wife, greeting people on the way out. A young man reached over to hug me and stopped to say, “Whenever I think of a good marriage, I think of you and your husband.” Those few words stuck with me all week. What did he see in us from two hours on a Sunday each week? I’m rarely seated by my husband and in the moments that we do communicate, it’s usually about the service: who forgot to do this and what I needed to patch up in the meanwhile. We rarely kiss in church, not that it’s uncommon for us but the last thing I want to do is have the man of God lose his train of thought during a message. One Freudian slip would leave me red in the face. Ladies, you know how we do it! Needless to say, this young man noted something and I can’t take it for granted. I wish he could see us when we are at our worse in one of our “discussions”. It’s usually about some project I want to do around the house and I’m the impatient one trying to get it all done HGTV time, one hour or less! Eddy on the other hand is taking out the scales to weigh the pros and cons. He wants to think it through. I want to “get er done!” Definitely not our finest hour but we compromise. I’m reminded that our marriage is often on display. Specifically those of Christians and more specifically those of leaders in the church. As much as I would like to minimize my marriage to equate to anyone else’s own, I can’t. God’s word expects us to live a different life as families in this world (I Tim. 3:1-13). Being on display is not an entirely fun thing. People are looking for chinks in your armor. I learned a while back, it’s better to highlight my own chinks than wait for someone to do it for me. Everyone knows how much of a brat I can be. I’m a Frank Sinatra junkie with the “I did it MY way” mantra. They also know my husband can be forgetful at times and again weighing out things while the clock keeps ticking. Don’t know how we make it work, but we do. Did the observer see two perfect people or did he see two very different souls, meshed together to become one? It’s my hope that in every God-centered marriage that people see honesty and transparency. That they see God at work in two imperfect individuals. Folks tend to have their own impressions of what a Christian marriage should be. And when we perpetuate these fallacies, they tend to become disappointed in their own relationships. We encourage this fake lie when we are not promoting healthy marriages, imperfections and all. A healthy marriage leaves rooms for mistakes and for forgiveness. A healthy marriage makes space for conflict and change. It is through difficulties that we grow as a unit. We fit like kid gloves now because we stretched into the role of husband and wife. The stretching was painful but the fit is oh so nice! So let’s dress up that shop window, look handsome, be pretty. The shoe may not fit properly or the hat may be too big for the head. But who cares? You’re on display! They don’t make them like my mom anymore. I have integrated much of what she tried to teach me in my life. Granted it was definitely a battle to raise a child who wanted so much at the time to cling to all things American. This is the woman who could not accept me living in the dorms at Florida Int’l University. Ladies don’t leave home until they marry, she said. How archaic, I thought, as I packed my bags to move a mere 20 minutes away from home. I will not lie and say we see eye to eye on every matter because we don’t. Her life journey has brought about many revelations to her that I have yet to learn for myself. Yet she is my mother, a visionary who just knew a tiny tourist island was not big enough for her children. She knew the rough side of Little Haiti would not be part of any “war stories” her children would share. She was the first hustler I knew, doing double duty as a nanny to the island’s elite and traveling to purchase and return to sell items from faraway places. This woman is so private it takes her sisters to crack the mystery of her. I subconsciously patten my life after her. I married opposite-like her, only too comfortable to let my life partner be the center of the party while I sit back and just watch. I trust few like her. She never kept much company. My mother’s house was not welcoming to evil spirits in the form of fake friends and posers. No popping in at my house! I too prefer to live that “circle of influence life” where there is a circle for every area of my life–some touch but most don’t. She is so intelligent, my mother. She reads three languages, writes two including English. I just knew my mom should be working in academia or a business and not a sweat factory in Hialeah. I often wonder of the professional power house she could be. Yet she sacrificed it all for my brother and I. When faced with a difficult marriage, she remained. In one of her most transparent moments she admitted she could not and would not raise us as fatherless children as she had been. I am torn about this but know I am who I am because she sacrificed for me. She brings out my best and my worse as I fight to be at once the person I am and the daughter she may want me to be. Cancer has afflicted her body but her soul and spirit remains intact. She is a difficult nut to crack, that lady. No longer is there a wheel chair ramp in front of her home. These days she leaves the chair at home because that unyielding spirit refuses to let a mere thing like cancer take her out. Sharp wit, sharp tongue, sharp mind. That’s who she is. Our mother-daughter relationship isn’t a romanticized version you will see on TV. It is made of fights fought hard, words that can’t be taken back, and a love that supersedes it all. Here’s to all mothers present, past, and future. May your example be that which leaves a lifelong legacy in the lives of your children and those they meet.